This economic crisis has engulfed many biggies including Lehman Brothers, Merrill Lynch. 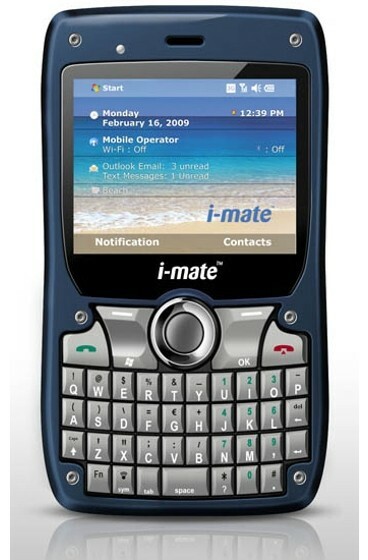 And now its game over for i-mate. The UAE based smart phone manufacturer which primarily built Windows Mobile based smart phones, was suffering from stiff competition from other smart phone manufacturers. The company already got delisted from UK AIM stock market last year and it was just a matter of time since then. Yesterday, final blows were given to it's coffin nails as i-mate's Dubai Internet City office was shut down completely. As of now, only their website(s) are still up and running. The company had already shut down its US operation way back in march last year. The company politely asked its employees to take an unpaid leave for 2 months which later turned out to be for indefinite period. i-mate 810f : The last smartphone made by the company, relesed earlier this year. The company till date has sold around 500000 smartphones and Pocket PCs, comprising of 25 different models in all. By the way, considering its tie-up with HTC, we cannot rule out the possibility of HTC acquiring this sinking ship.